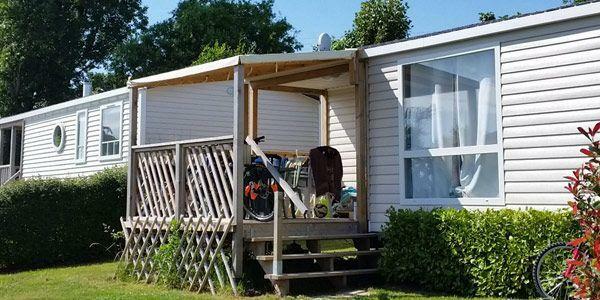  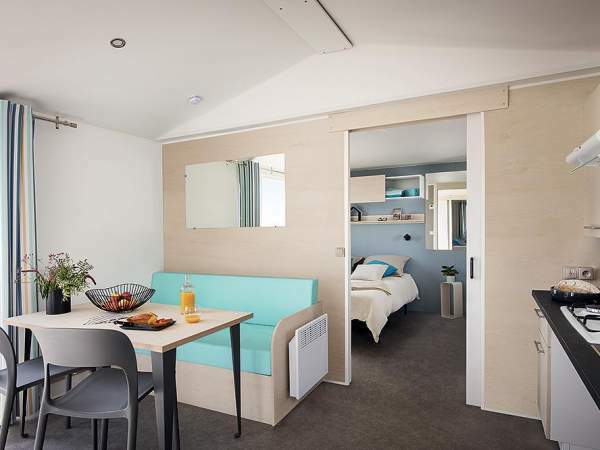 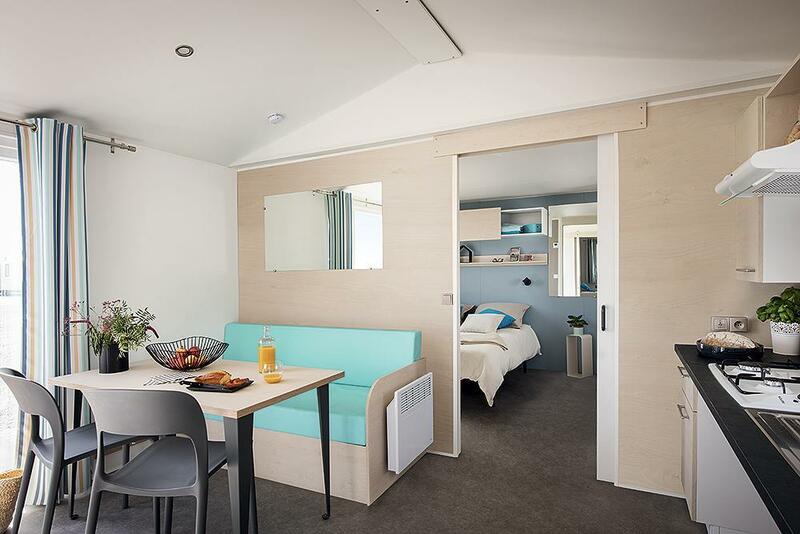 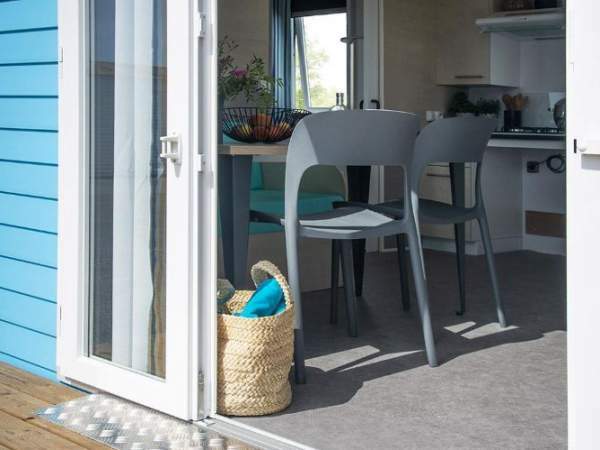 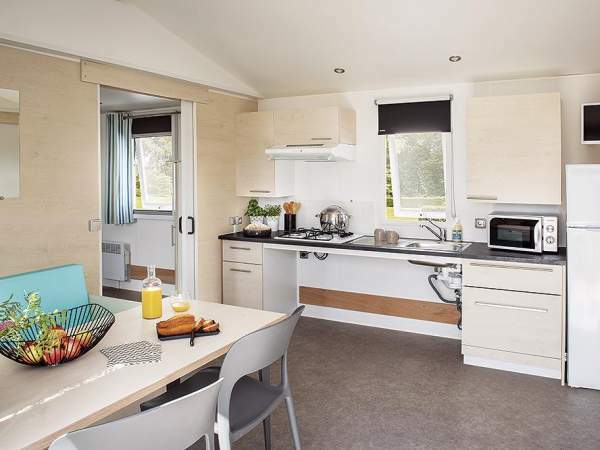 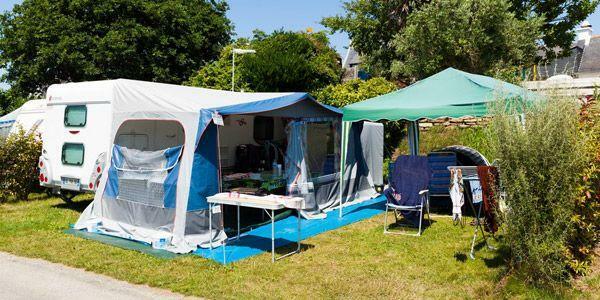 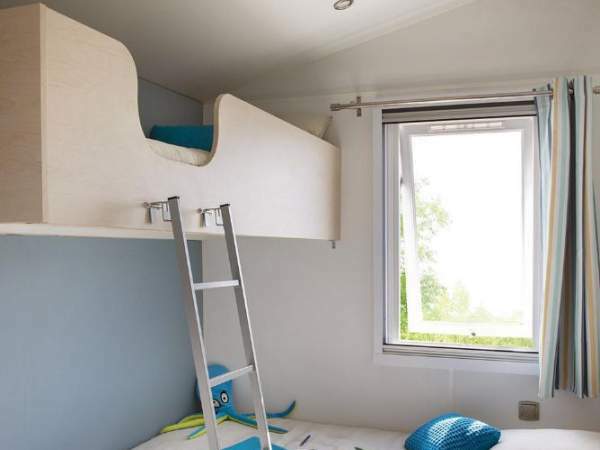 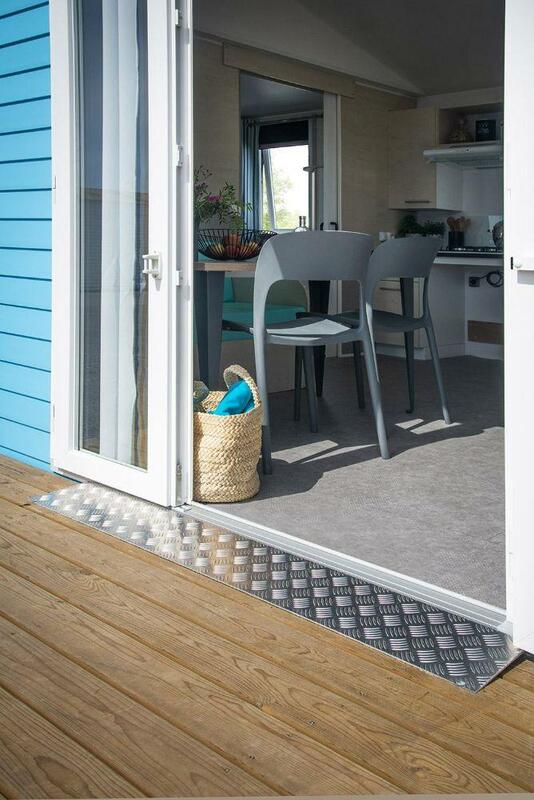 For your holidays in Concarneau in Finistère, Les Sables blancs campsite offers the rental of a cottage PMR - Person with reduced mobility - for 1 to 4 people. 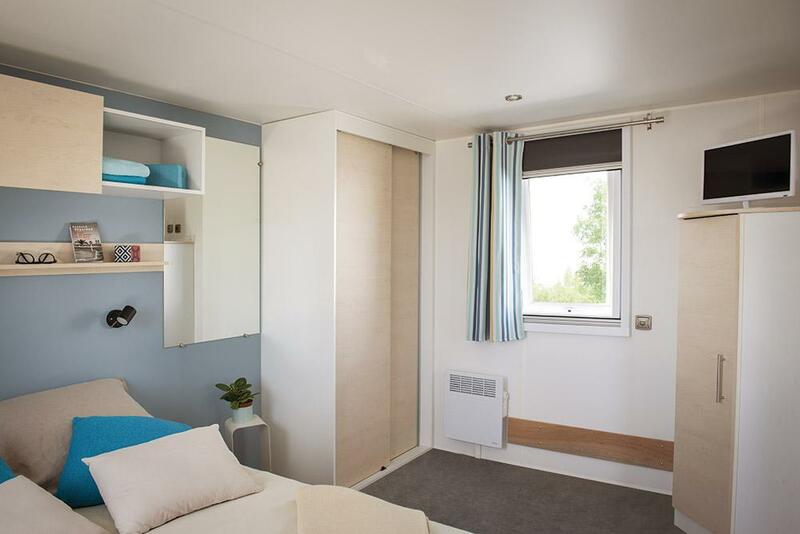 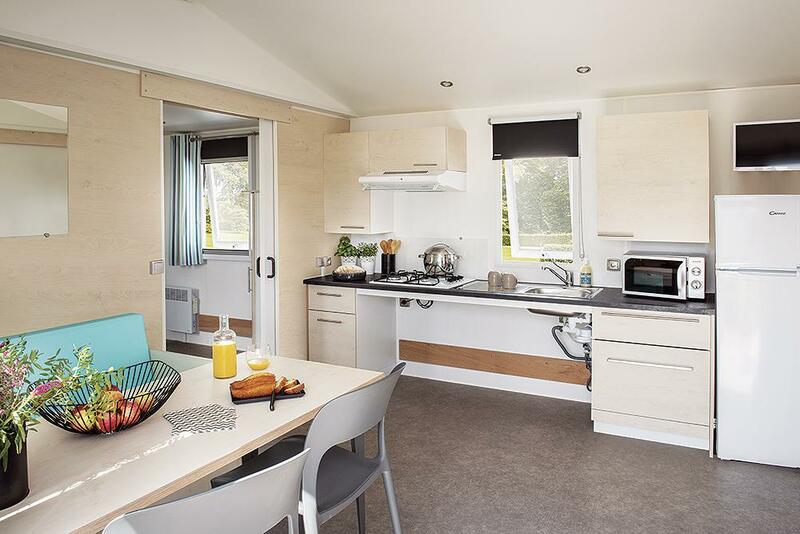 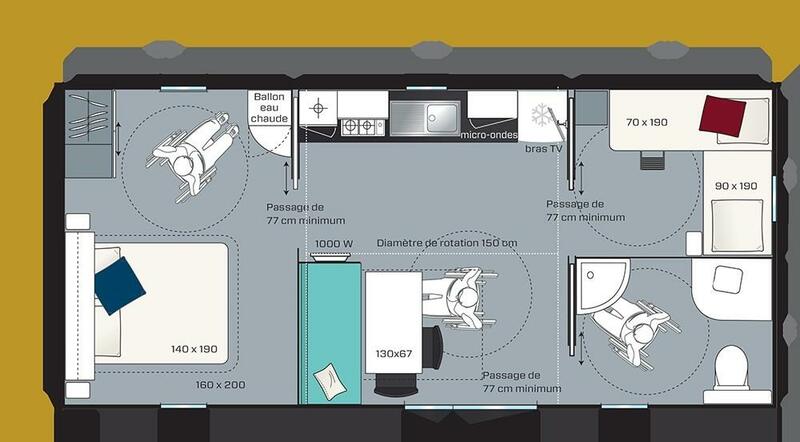 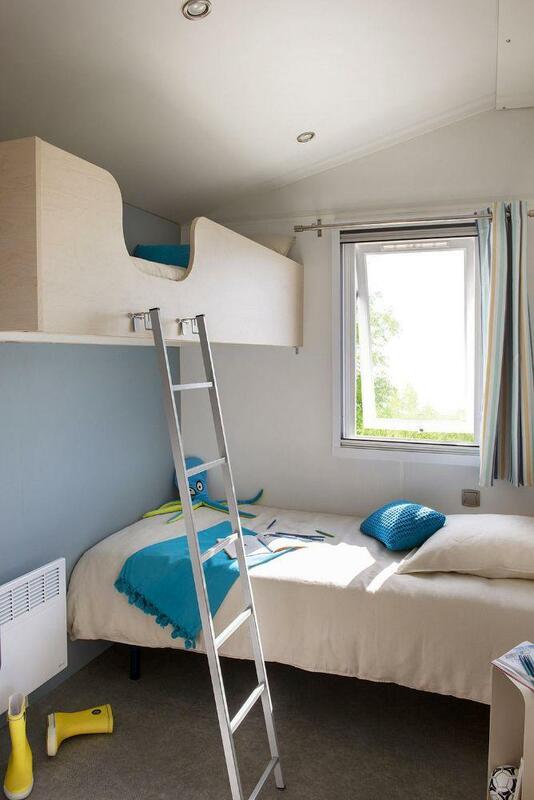 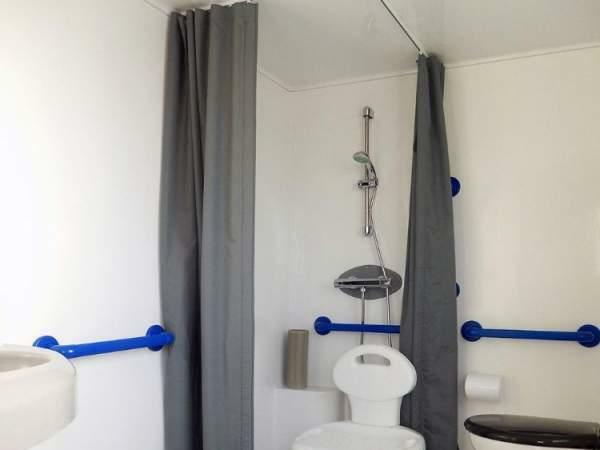 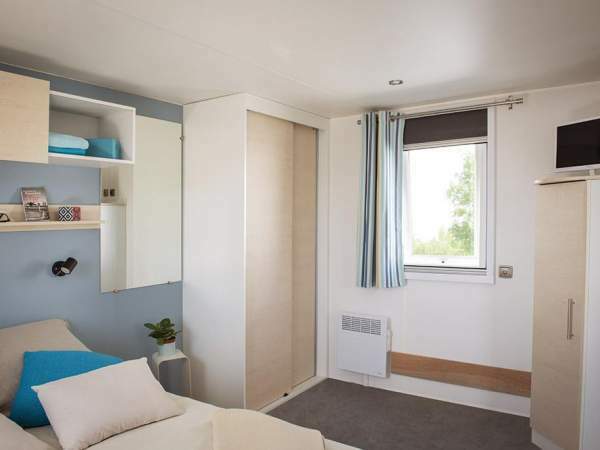 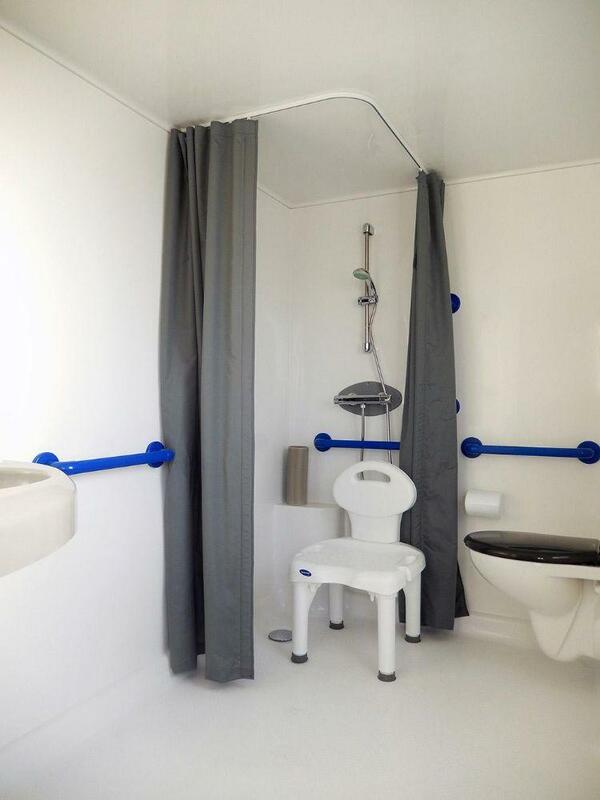 This Mobil-Home 2 rooms is specially designed for stays of people with reduced mobility and equipped according to the standards in force. 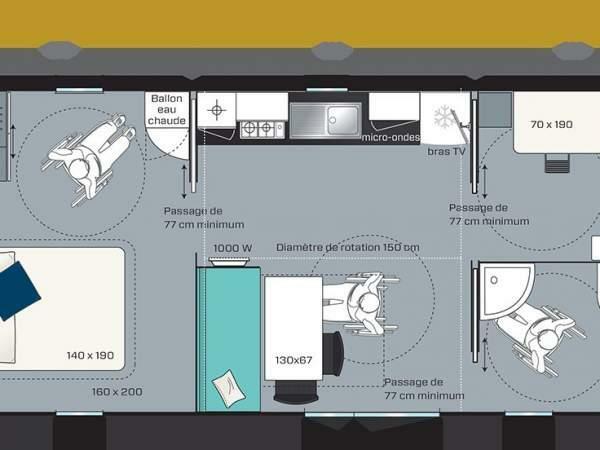 It has a sanitary cabin adapted with seat, shower and ramp for WC, a terrace with ramp access and an ultra spacious room.